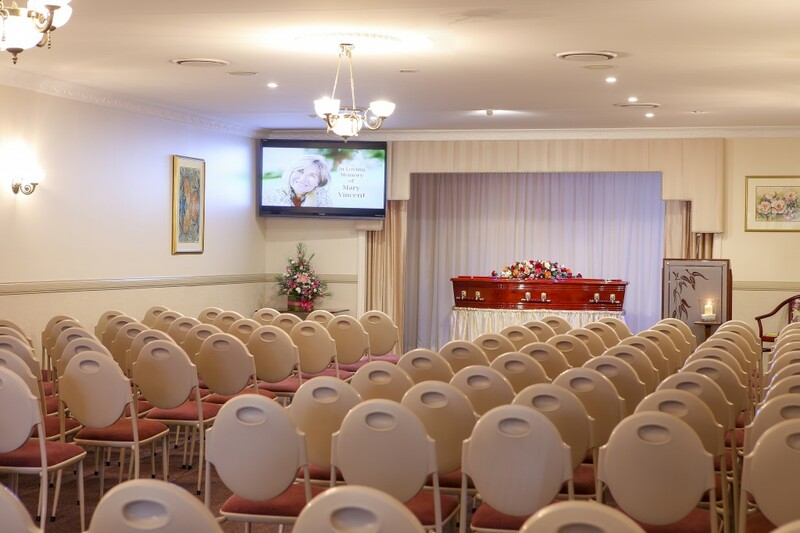 Australian Heritage Funerals are proud to offer our beautiful Heritage Chapel as a venue for both religious and non-religious civil funeral services. 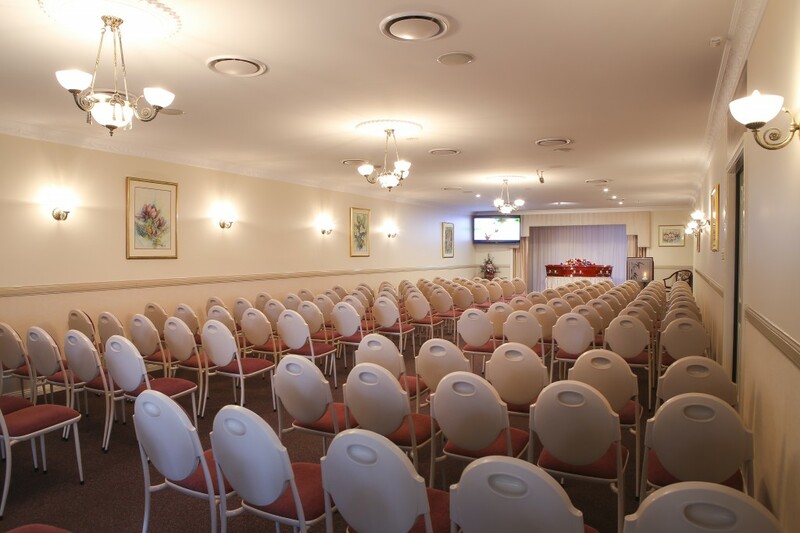 Our Chapel, situated within our grounds at 314 James St Toowoomba, offers air-conditioned comfort, with seating for 130 with an overflow area for additional people. However it is still intimate for smaller groups. We offer a full music system, as well as a keyboard, for the music chosen and audio visual equipment so that the family photos can be displayed in a photo tribute if required. The service can also be video recorded for family members unable to attend or as a special keepsake. 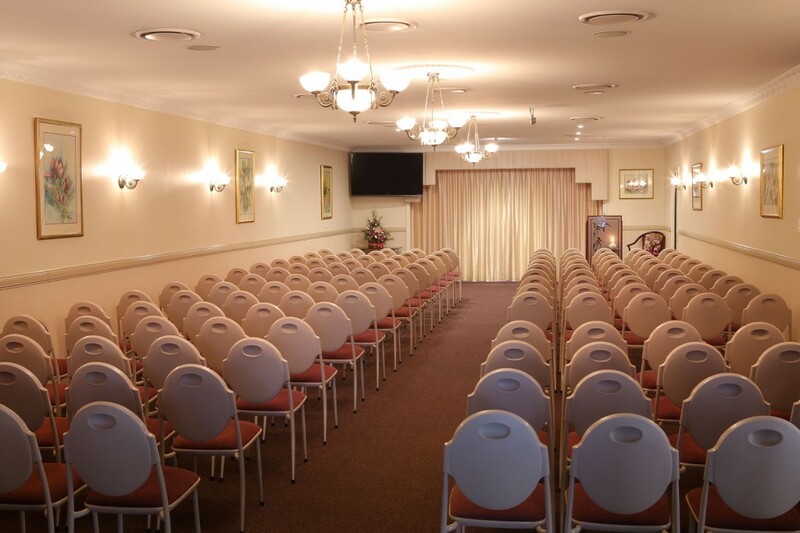 Our Chapel is set back from the main road and due to the excellent and attractive design, it offers a very peaceful, gentle, private setting for people ensuring comfort throughout the service. For your convenience our Tearoom is adjacent to the Chapel to share refreshment. Parking is not a problem at Heritage Funerals. Entry is from James Street. For funeral services, the front carparks are reserved for family members. Our rear carpark has space for 40 cars with an exit to O’Quinn Street for any overflow. A parking attendant is always on duty to assist with parking.